Cary Grant and Grace Kelly stayed at this lavish beach house — now it's for sale! This vacation home is just as classic as the stars who used to stay there. 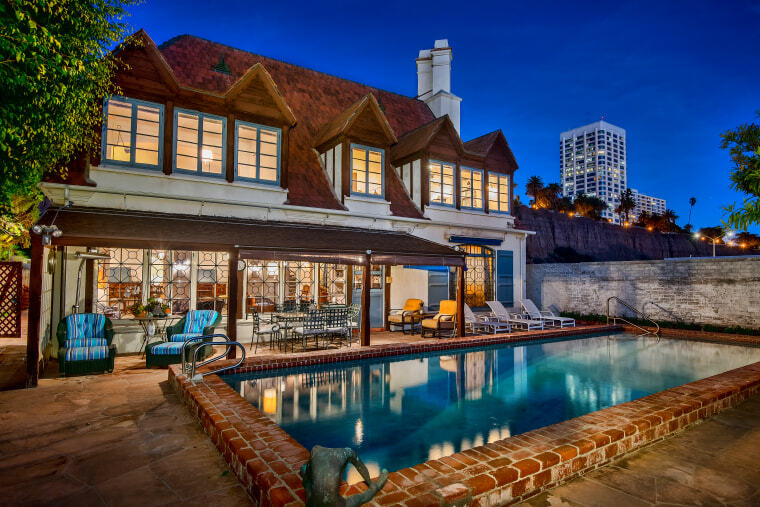 The 11,503-square-foot beachfront property in Santa Monica, California, used to belong to Cary Grant who co-owned it with Western star Randolph Scott. Not only did the property play host to many celebrities during the lavish parties thrown by its owners, but it’s also served as a beach house getaway for the Hollywood elite including Grace Kelly, Howard Hughes and Sharon Tate. And now, the home is for sale for the first time in 40 years with a price tag of $11.995 million. Even before you step inside, you know you’re about to enter a truly decadent space — the courtyard features elegant landscaping and a romantic fountain. Inside, the formal foyer sparkles with a gorgeous chandelier and a dramatic circular staircase. Can’t you just see the Hollywood types walking down the steps in their designer gowns and glitzy jewels? The living room features a large antique window, hardwood floors and a fireplace — the perfect cozy room to relax with friends and family. There’s also a formal dining room and sunroom that looks out on the garden on the first floor. In the kitchen, you’ll find white cabinets, stainless steel appliances and a nook for a breakfast table. Wine enthusiasts will appreciate the home’s wine cellar, too. On the second level, the master suite features a bright and sunny sitting area with views of the Pacific Ocean. There are four other bedrooms on the floor, all with views of the Santa Monica Pier. And as with any beach house, you’ll probably be spending the majority of the time outside — especially with amenities like these. The house features covered and open patios, a full-size heated pool, a paddle tennis/pickle ball court and a raised viewing deck that’s a great place to catch the sunsets. The property is listed by Jade Mills and Tiffany Mills with Coldwell Banker Residential Brokerage. You can flip through more pictures of it here.